You could hardly call it rain, but the mist in the air when I visited Montana Creek yesterday was the kind that beads up on your camera and your clothes as you walk through the forest. 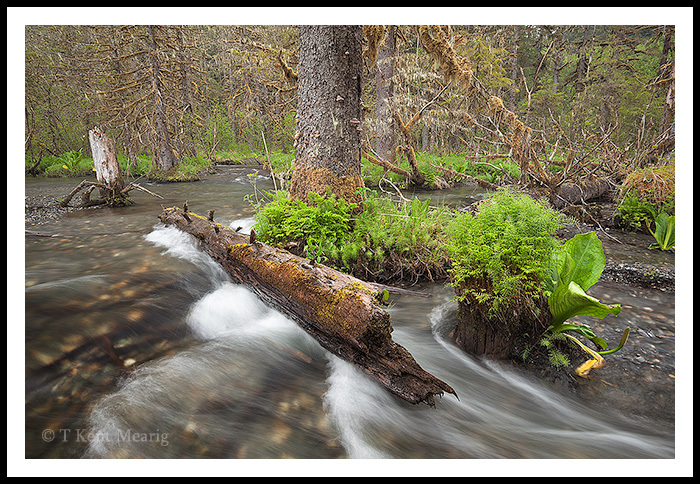 Despite being a relatively small space close to the road, this section of Montana Creek has continued to be attractive to me over the years while remaining challenging to summarize through a photograph. Yesterday was no different, but it dawned on me that it has been many months since I went out in pursuit of purely natural subjects. I think it was apparent by the results, as I was unable to concentrate on composition enough to really lock things into the right places. Still, it was a wonderful and peaceful change of pace.